A few days ago, I got an interesting question from one of my Advanced Hibernate Online Training students. He used the @MappedSuperclass strategy to map an inheritance hierarchy to multiple database tables and wanted to change the attribute mapping for one of the subclasses. So, he asked me: How can I override the attribute mapping in an inheritance hierarchy? Overriding an attribute mapping for a @MappedSuperclass mapping is relatively simple. You can do it in the same way as you override the mapping of an embeddable. But before we talk about overriding the mapping, let’s first take a quick look at an inheritance mapping that uses the @MappedSuperclass strategy. This approach enables you to define shared attributes and their mappings on a superclass without making the superclass an entity. So, the superclass doesn’t get managed by your persistence context and not mapped to a database table. But all of its subclasses can be managed entities, which get mapped to their own database tables. If you apply this mapping to the following classes, the Publication class isn’t an entity and doesn’t get mapped to a database table. 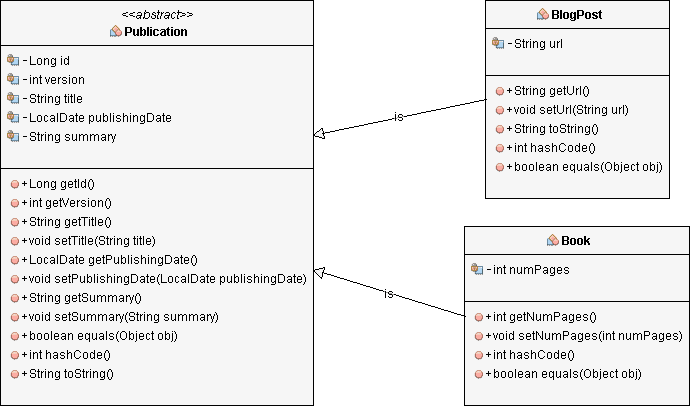 But the Book and the BlogPost entities are entities which get mapped to database tables with the same name. I explained this and other mapping strategies for inheritance hierarchies in great details in my complete guide to inheritance mappings. Let’s now change the mapping of the summary attribute of the Book so that it gets mapped to the blurb column of the book table. You can use the @AttributeOverride annotation on the Book entity to override the mapping of each attribute defined by the Publication class. 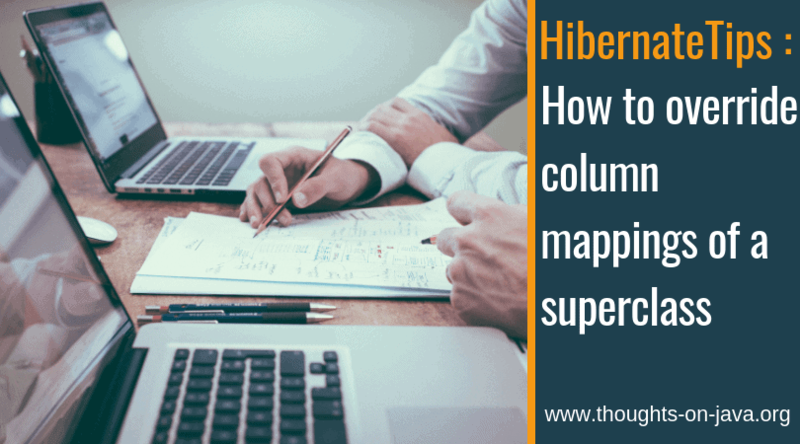 You only need to provide the name of the attribute for which you want to change the mapping and a @Column annotation. In this example, I reference the summary attribute and provide a @Column annotation that sets the database column to blurb. If you then use the Book entity to read or write a database record, as I do in the following test case, you can use all attributes mapped by the Publication superclass. 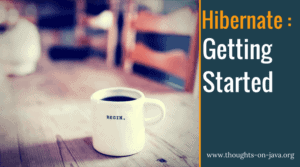 When you activate the logging of the executed SQL statements, you can see that Hibernate uses the mapping defined by the Publication class for all attributes except the summary attribute. The @AttributeOverride annotation on the Book entity changed that mapping to the blurb column.